The Hook’s Heroes is a themed pokie based on the story of “Peter Pan”. It was created by the famous NetEnt game developer and it possesses 5 reels and 20 pay lines. One of the main characteristics of this slot is that it is stacked with bonus features popping out at every corner. Players first have to choose the desired version before spinning the wheel. 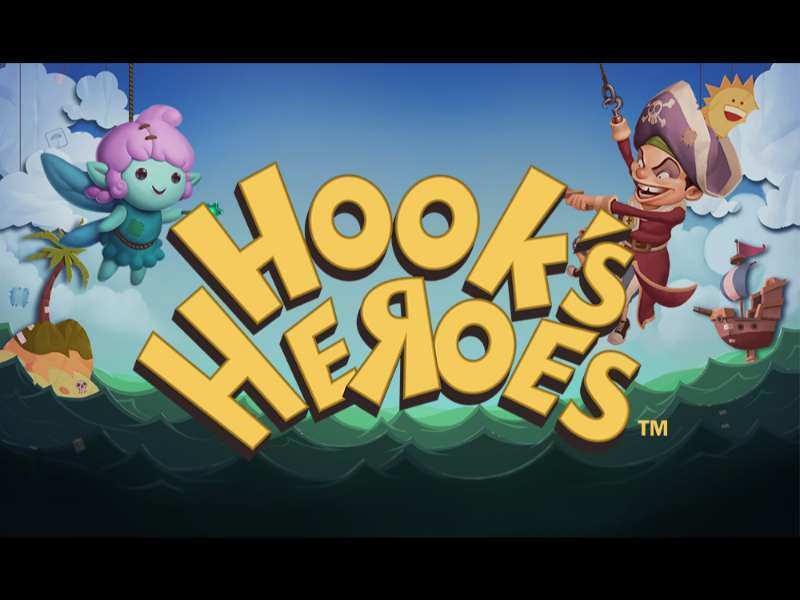 The Hook’s Heroes slot can be tested for real money and in a fun mode with no download required. In most of the casinos, this slot online game can be accessed directly via mobiles and other devices directly using search engines, or it can simply be downloaded in stores. Manual spinning is for gamers who want to pay attention and gamble with a certain betting strategy in mind. To start spinning this way, players can just click on the “Spin” icon which is located in the center of the main menu in the bottom of a playing screen. Automatic gambling can be activated by turning on the “Autoplay” option. Gamers just have to choose the desired number of consecutive spins and press start. This option is suited for players who want to lay back and just enjoy betting in a relaxed way. The total credit balance window can be found in the bottom bar where bettors can track down their wins and progress at every moment. All scores will be dealt looking from the left to the right side. Before betting, players should always check all playing symbols, rules, and limitations. If gamers play free Hook’s Heroes casino slot machine for real money (available for gamers in the UK and other places where gaming is legal), they must be more than 18 years old to be able to place real cash slot bets. All gamblers should check if gambling is legal in their region before starting. The Fairy Feature – this special bonus comes with 7 free spins and unique random wild reward. After each spin, a fairy will randomly bring between 2 and 5 overlay wilds. Mermaid Feature – when 3 or more scatter symbols are gathered, bettors can trigger this feature. While it is on all wins will be multiplied by 2 and on top of that if a wild icon pops out a multiplier will be times 4. Pirate Feature – while these extra rounds are activated winning will not be calculated on the number of visible symbols. This actually means that icons don’t have to emerge on consecutive reels. While this feature is on, there will be no wild icons on the playing table. If a player gets 3 or more scatter icons and triggers this feature, he/she will gain 15 free spins. To increase winning chances, even more, players can find wild cards. These icons can substitute all signs except for extra signs. The best way to enhance the odds in Hook’s Heroes slots is to try to play as long as possible. This is a game calculated by the Random Number Generator which allows every gambler to have equal shots every time. After each round that is spun, bettors will have higher scoring possibilities to gain some big jackpot prize. So to get a grip of some of the highest payouts, just try to spin the wheel more. To really get things serious, gamers should set the stakes to the highest value. This will allow them to qualify for the jackpot prize. This is a fun 3-D game that can found at most online casino places. The NetEnt provider made sure that players can really enjoy while spinning the wheel in the Hook’s Heroes game with lots of free spin opportunities. To find a real money treasure, prepare your betting table and choose the desired feature for many cash prizes. 0 responses to "Hook’s Heroes Slot"